Dandelions: Just a Pesky Weed...right? Wrong! What wild herbs are edible? 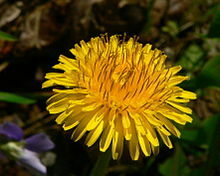 Dandelions are super weeds and SUPER FOOD! I can't help it. I cringe and nearly bite my tongue off when I hear people complain about the dandelions in their yard. What really irks me is the amount of poisons we put into our soil and environment to get rid of these "weeds". Are a good source of beta carotene, potassium and vitamin K.
Health food stories are selling Dandelion tea and pills for big bucks. Seriously. It's a super vegetable, and it's available in unlimited supply. 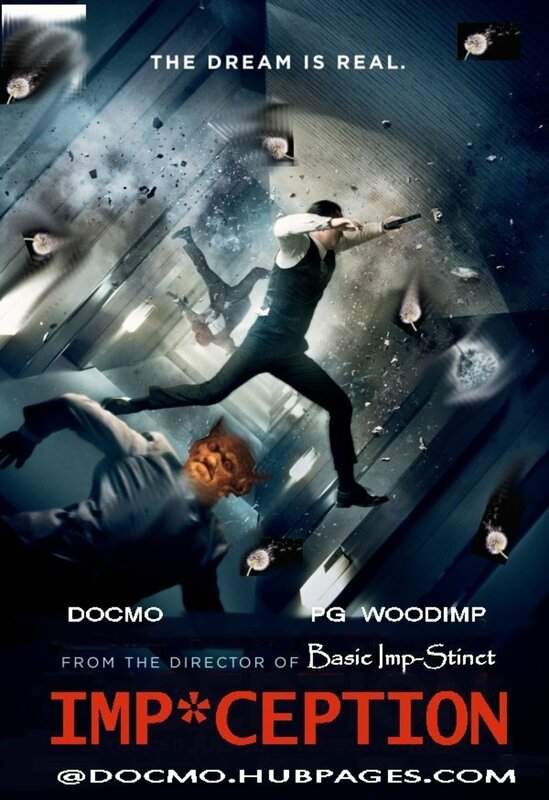 So, obviously, we must destroy it! Ok, if you want to be a crazy, like me, and actually harvest and use this wonderful source of nutrients, there are several ways to do so. Important: make sure you harvest dandelions that haven't been sprayed with lawn chemicals or weed killers. Always wash your greens thoroughly. Or boil them up and dress them with salt, butter, and maybe a little apple cider vinegar (Ayuh, that's what us Mainers do). 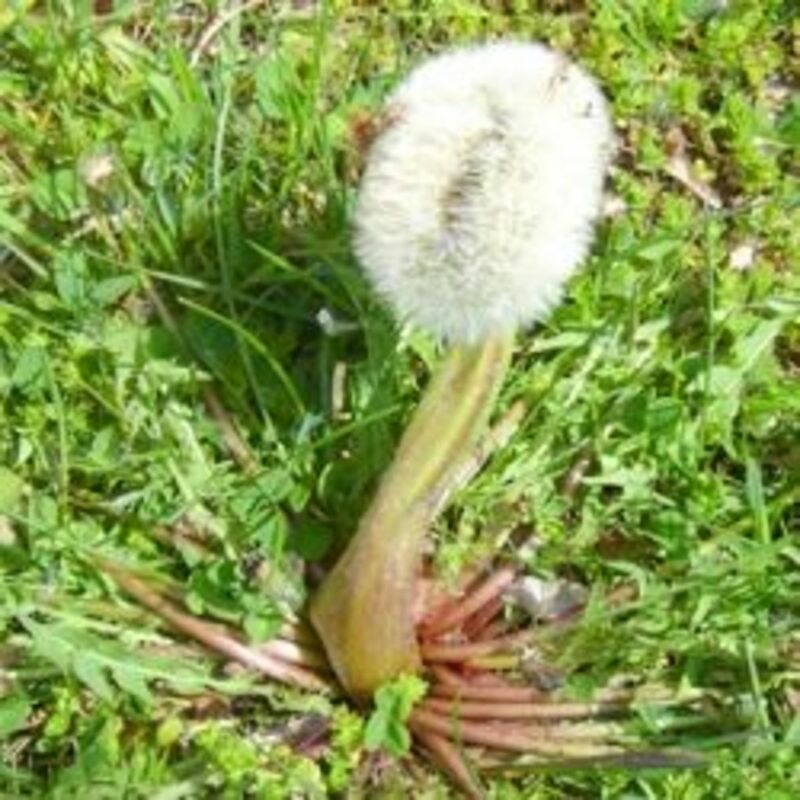 Every part of the dandelion is ebible, even the flowers. My girls and I made a wonderful Dandy Bread last spring. We went out early in the morning (for the best flavor), and plucked the heads off a dozen or so dandelions. (I know the neighbors were watching us and thought we were totally crazy. I say, crazy like a fox!) Then we used this recipe: http://www.food.com/recipe/dandelion-bread-377973. Spread on the butter...yummy! Studies have shown that Roundup's main ingredient, glyphosate, has the capacity to kill human cells. Weeds are building up an immunity to our lawn chemicals, such as Roundup. This means you need to use more and more chemicals to kill the weeds. If you don't care about the health side-effects, you should at least care about the cost! Why Do You Need to Make Your Own Dandelion Salve? Thanks so much Pamela N Red! I appreciate you stopping by and spreading the word. Dandelions are natures best kept secret. I posted this on Twitter for you. Enjoyed reading. Agreed Healthy Pursuits...and thank you! I think people fight dandelions because the plants are too successful, so they're considered a pest. But then, we would be considered too successful if there was a life form above us, too. And we think we're valuable. Great hub! Thanks for the cooking tips. I've considered making dandelion wine before, so the link is especially appreciated. Thank you Good Lady! The "Cicoria" dish sounds yummy, thank you for sharing that! Yes! Foods you pick and glean and find growing wild in hedgerows, fields and along the shores are fun to find, great to eat, I do agree. In season, we cut it where it clusters at the root (before or after it's flowered) with a small knife, wash it, boil it, drain and squeeze dry, toss it in olive oil and eat it between two pieces of hot pizza bread (a dish from Le Marche). I might write a Hub about it. Anyway, I think yours is a very interesting Hub and it is good of you to enlighten like this. Hope a lot of Hubbers read it! Pollyannalana and Dani: Thank you! I didnt know all this about dandelions! thank you for sharing, this was very useful...I really wanna try out the tea. Thanks for reading, tammyswallow! I grew up on dandelion greens, and never thought a thing about it. I've never tried dandelion wine, but heard it's an acquired taste. Maybe someday I'll make a batch. Wow.. I didn't know they were edible. My father is a bootlegger and he makes dandelion wine, but I didn't know they could also be eaten. Wonderful!